Fresh beef is available every month. Please contact us for the next available date. A box of seasonal vegetables can now be bought for just £5.00. Contents will vary weekly to reflect what’s in season. This week, the box is made up of potatoes, carrots, onions, brocolli, cauliflower and avocado. Watch out for changes as new vegetables come into season. We now have fresh meat available all the time. Our butcher, Mr. Mumford comes in on Tuesdays, Thursdays and Fridays. Please ring and order if you would like something prepared for you. We still do boxes of beef or pork, or you can ask for a mixed box. We make Mr. Mumford’s traditional pork sausages on Tuesdays and Thursdays. Please let us know if you would like a big order for the freezer so that we can make extra – sorry but we do tend to sell out of these as they are so popular. Your opportunity to share with us the delicious taste of our own home reared beef. The Hamer family have been farming in Horley for five generations. We have always farmed with the welfare of our animals and the countryside in mind. Our beef cattle are reared slowly and naturally on our family farm in Horley. We choose Aberdeen Angus and Continental crosses for their excellent eating quality and superb flavour. They have a quality stress-free life and are reared in an environmentally-friendly way. Currently no web site, but an ever expanding business, carrying meat, vegetables, produce and plants. Credit cards are accepted – Cash machine available. National Lottery Tickets & Electronic Phone Top-ups. Kineton has a variety of local shops, including an excellent florist, hairdresser, estate agent, fish and chip shop, Spar supermarket, butchers, newsagents,chinese take away and an excellent Indian restaurant/take away and pubs 5.5m. 7 days/week. There is also a library and curtain/sewing shop, which comes highly recommended. Castle Quay, the ultimate shopping centre in the region offers a wide range of shops and cafes. Customers can enjoy a first class shopping experience in a clean, pleasant environment and even visit the newly opened Banbury Museum and T.I.C. at the same time. Access is easy and the Centre also has its own car parks adjacent. Nestled between the historic Market Place and the picturesque Canal, Castle Quay has something for everyone. Malls open and close half and hour before and after these times. Times may vary in individual shops.Late night opening Thursdays late November/December. From M40/J11 follow A 422 towards Banbury. Turn left at roundabout into Concord Avenue (A 4260). At roundabout right into Cherwell Avenue – Castle Quay North car park is off next roundabout and South car park at the following roundabout. 850 car parking spaces and Shopmobility scheme. Free Parking and many of the larger stores have relocated here such as Argos, Next, Boots, Currys. Also has Pizza Hut, MacDonalds and Costa Coffee. Bicester Village is one of the Collection of Chic Outlet Shopping® Villages by Value Retail. Founded in 1992, Value Retail is the creator and operator of Chic Outlet Shopping®, a unique concept in outlet shopping. As developer and operator of the Chic Outlet Shopping® Villages, Value Retail is the only company to specialise exclusively in the development and operation of luxury outlet shopping villages. Home to more than 900 outlet boutiques of the world’s leading fashion and lifestyle brands, the Collection offers an unrivalled luxury outlet shopping experience for discerning shoppers in what have become tourist destinations in their own right. You can shop with your family, spend with your friends or just come by yourself to experience what Milton Keynes has to offer. Regular genuine French, German and Italian markets are held within the city centre . Have some of the very large stores and the most fabulous Christmas displays. Highly recommended for shopping, many larger stores and quaint boutiques, all nested in historic mellow Oxford town centre. Lovely atmosphere and the theatres and universities are within easy walking distance. The city of Oxford is full of well-known high street shops and department stores, such as Marks & Spencer, Debenhams, Primark and BHS, in and around the centre. 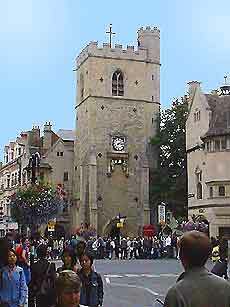 There are also a number of specialist shops in Oxford, including jewellers, art galleries, craft shops, toy shops, antiques shops, gift shops and there are also countless clothes shops in this busy university city, suiting fashionistas.The main shopping streets include Oxford High Street – full of a large number of independent shops and boutiques, Broad Street – with a number of bookstores, gift shops and art galleries, Queen Street and Cornmarket Street – located in the heart of the city centre, with department stores such as Boots, Allders and WHSmith, and shopping centres such as the Westgate Centre and the Clarendon, the Covered Market – dating back almost 300 years and full of a varied collection of stalls and interesting small shops, Gloucester Green – home to many regular open-air markets, and Little Clarendon Street – the centre of Oxford’s street café culture and also containing many furniture, antiques stores and restaurants.Other major shopping areas include Walton Street, Jericho, St. Clements and Cowley Road areas, located close to central Oxford and full of countless furniture stores, clothes boutiques and gift shops. Again a wide variety of shops and eating establishments , set by the wonderful gardens and fountains. Within easy travelling distance and accessible by a short train ride from Banbury rail station. Huge variety of shops and restaurants .